Yields up to 2400 pages at 5% coverage. The Canon 737 Compatible Black Toner Cartridge is one of our most popular models of generic Canon toner cartridges. The 737 compatible toner is reliable and versatile product that is also a perfect fit for printers that use the HP 83A (HP283A) cartridge. Yields are consistent and quality comparable with original printer cartridges. You can expect sharp document prints. Canon 737 compatible black toner cartridge is a very versatile product and can be used in a wide variety of Canon Printers and Fax machines. It is part of our quality brand of compatible toner cartridges that not only come with a 1 year warranty, but has built up a reputation in Bloemfontein and surrounding areas for its quality and reliability. Strict 9001 standards are adhered to in the manufacturing of the Canon 737 black aftermarket cartridges. 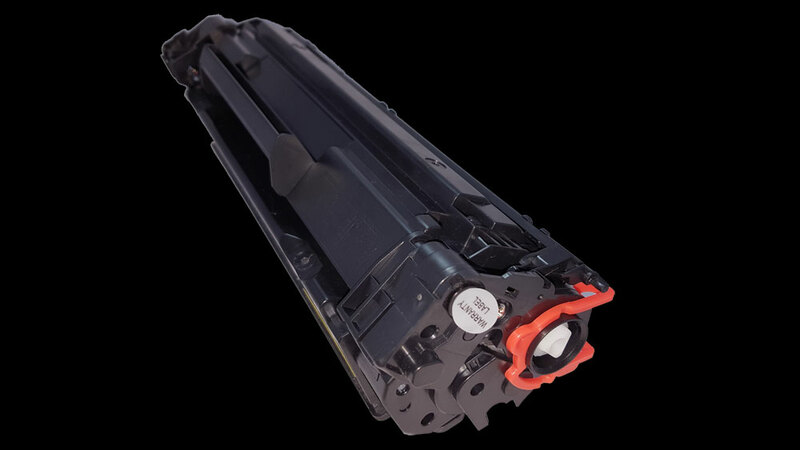 Compatible Canon 737 laser cartridges meet the quality standards of all OEM Canon 737 toner cartridges. This compatible Canon cartridge is suitable for use in a wide variety of printers.